Whether your idea of a good night out looks like heading inside for a pint after a long day on the snow-blanketed slopes or downing shots in the energetic atmosphere of the bar, Big Bear has your nightlife covered. Check out the Big Bear bars and pubs we’ve listed below for an unforgettable night (or even afternoon) of fun! The best bars in Big Bear are waiting for you! Murray’s Saloon & Eatery is an unassuming dive bar in Big Bear with a wonderfully laid-back atmosphere. Open all day long from 10:00am on Monday through Friday and 8:00am on the weekends, Murray’s also offers a reasonably priced menu of delicious American pub dishes. Karaoke nights are a must, and the wings and burgers are highly recommended. Craft beer enthusiasts will rejoice to find Big Bear Lake Brewing Company’s palatable beer offerings and classic pub menu. Cozy and clean, this brewery has a range of house brews and samplings from fellow local microbreweries. Red ales, IPAs, pale ales, porters, hefeweizens, and more are all available for your drinking pleasure. For a more electric atmosphere, go to Club Bombay (located next to Himalayan Restaurant). Here, live music and drinking go hand-in-hand on the weekends and the Monday mule specials are unbeatable. It’s definitely one of the liveliest and fun bars in all of Big Bear! Black Diamond Tavern is another of the best bars in Big Bear, especially for their standout Irish coffees and hot toddies. Live music is a staple here, as are their one-of-a-kind cocktails. Continuing with the theme of quality dive bars in Big Bear, B’s Boathouse is a splendid choice to add to your itinerary. 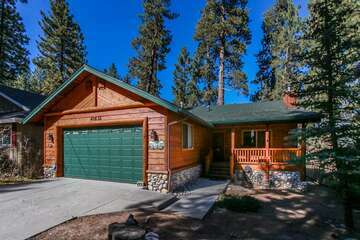 A gorgeous lakefront view of Big Bear Lake greets you, in addition to inexpensive yet strong beers and cocktails. Like several of the bars on this list, they have live music that you can dance to all night long. An extra bonus: this restaurant is also right next to a dog beach, so you can come here after playing with your dog by the lake. There are also pool tables, karaoke nights, and fire pits that you can cozy up next to. 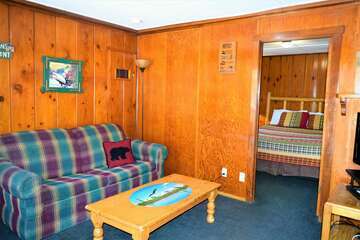 Begin Planning Your Big Bear Vacation with Big Bear Cabins! 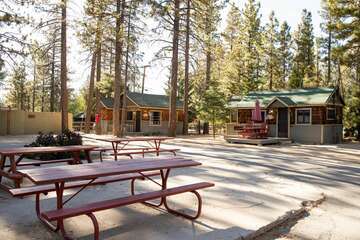 Find out more information about Big Bear’s many attractions and activities when you reserve your stay in one of the traditional alpine cabins that Big Bear Cabins has to offer today!